The Japanese city of Sapporo was rocked by a 6.7 magnitude earthquake amidst one of the worst storm seasons the country has ever seen. The US Geological Survey (USGS) reports the earthquake struck a mere 70 miles south of Sapporo on the island of Hokkaido waking up residents shortly after 3 am Thursday, local time. Video shared on social media shows a Japan Airlines aircraft being buffeted by the earthquake as lights flicker on and bright flashes appear sporadically across the city. Witnesses reported the Earth moving around them for about 20 seconds and reports of power outages are plaguing Japan's north most regions. One Twitter user wrote, "Just woke up to a pretty damn big earthquake in Sapporo. I've been through quite a few before and I'm shaking like a leaf right now. In fact, we're getting an aftershock right now…"
The USGS data reported that the tremor struck at a depth of 20 miles beneath the Earth's surface. 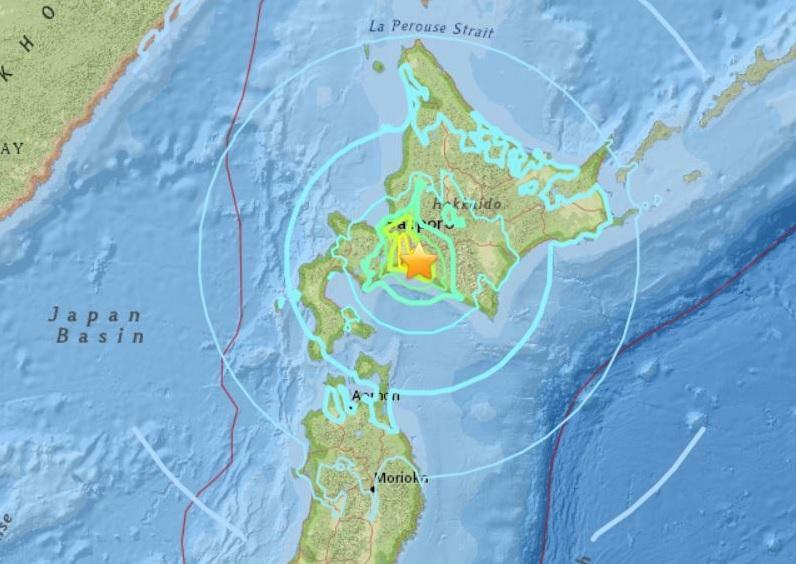 There has been no tsunami warning following the earthquake but the epicenter was alarmingly close to the city of Chitose at just 16 miles away. Chitose is home to Hokkaido's main airport. Shortly after the earthquake, residents reported a massive lightning storm in the skies. A social media user even uploaded some dazzling footage of the lighting in quick succession. Does nobody else see the hovering lights while the crazy lighting is happening??? Their weather right now is beyond ludicrous, even their planes were shaking from that. What else will they suffer from, an electric fire tornado? Feelsbadman.